To enhance products intended to moisturize the skin. Proprietary blend derived from sweet almonds that contain high amounts of essential fatty acids, such as natural waxes. Thought to assist in protecting the skin from environmental elements. Average Melt Point: 111-130º F.
TIPS: The average melting point for the butter is 111-130°F. 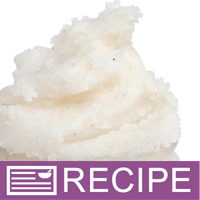 Butters provide moisturizing properties to products. To minimize greasy after feel we recommend blending with 1-3% cornstarch or isopropyl myristate. Test your final product to insure optimal performance. COMMENTS: Was sent this by accident. But so glad the mistake happened. Added to lip balm and body butter for a silky feel. "This almond butter is a keeper!!" COMMENTS: This is a soft butter that blends very easily. It has a very light nutty scent. I use this butter in my foot balms and scrub set. Pairs beautifully with any of WSP's bakery scents. COMMENTS: Almond butter is great! I use it for body butters and scrubs. COMMENTS: Love Love this butter!! purchased a small amount and loved it so much, I'm about to purchased a larger tub of the butter to mix for my shop. 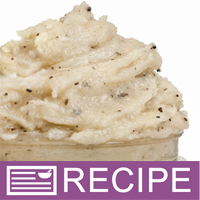 "A wonderfully light smooth butter blend "
COMMENTS: This butter is a softer, easier to spread butter blend. it works wonderfully well with my cremes. I'll be using this in all my products! Love the benefits it adds! Another great product from WSP. 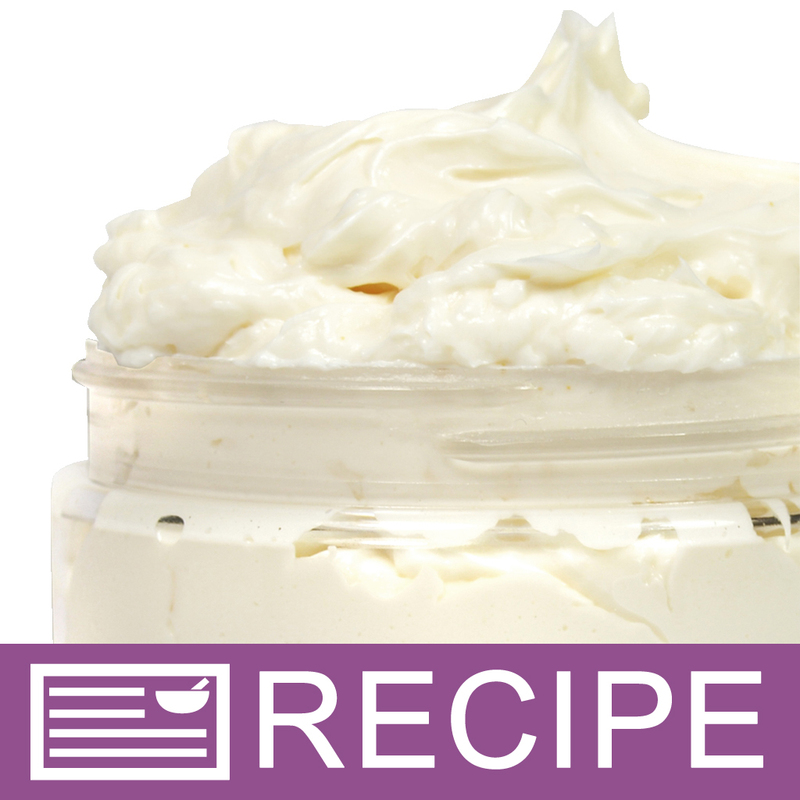 COMMENTS: I use this as a base for 50 % of my body butters- it's rich and cream but not greasy. melts well and incorporates essential oils really nice and evenly. "Takes a while to melt"
COMMENTS: I like this thick almond butter to add into my almond soap. It did take a while to melt down compared to my other solid oils. I found it helped to break it into smaller pieces once it has already started melting. COMMENTS: We use this for some of our body butters. It has a natural clean scent. It is extremely moisturizing. We really love this with our bath fizzies as well. 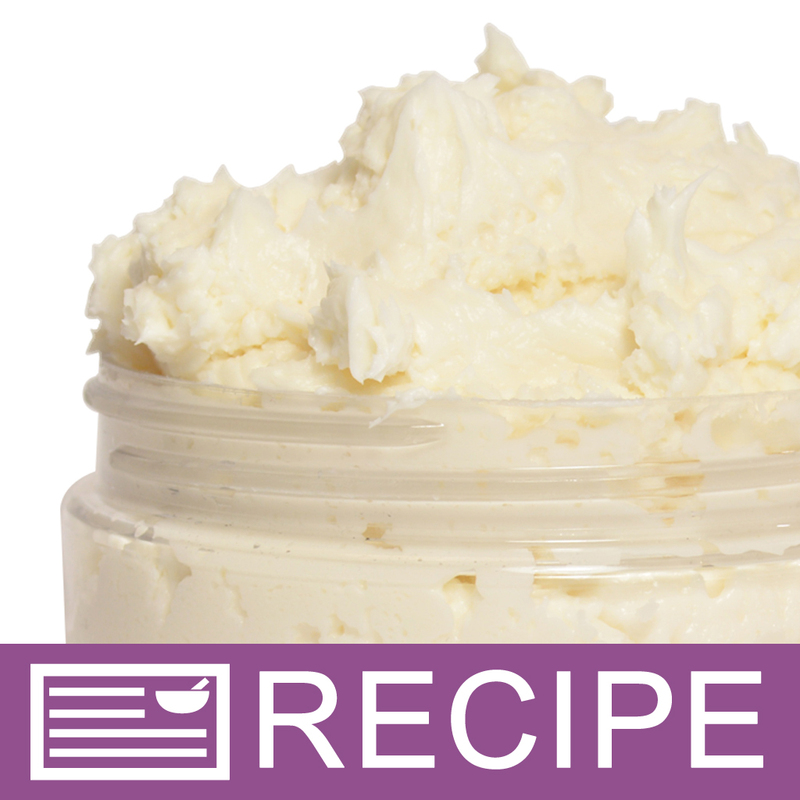 It whips up beautifully with other products to make great butters. COMMENTS: I don't really care for this blend because it's blended with hydrogenated vegetable oil. I'd prefer it in something else. I used it in a lip balm kit. COMMENTS: This blend is by far one of my favorites as well as my customers. I have used it in cold process soap as well as body butters. 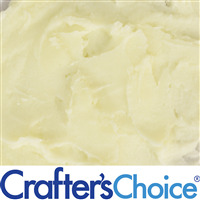 It has just the right density for my body butter and does not make the final product too greasy. Will definitely buy again. COMMENTS: I like to use this in lip scrubs. Makes my customers very happy. COMMENTS: Rich creamy butter with little or no smell. I love this straight out of the container but use it in a body butter I make as well so order a little extra to keep a little just for myself without doing anything to it at all. Five stars good! COMMENTS: Made into a body butter and it whipped well. I loved playing with it. Absorbs nicely. COMMENTS: This is a nice additive for lip balms. I'm sure it is versatile and can be used in soaps and lotions, as well, but I've only used it in lip balm. COMMENTS: This product is very creamy and I will use this instead of the shea butter. 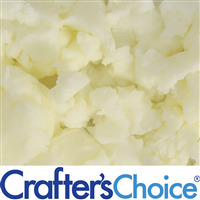 COMMENTS: I love the feel of this butter and the way it melts and absorbs into the skin. This will be reserved for special recipes or products. It does have a slight smell but it is not unpleasant....very minor. This could be habit forming....REALLY like this product for creams and lotions. COMMENTS: this is the smoothest, creamiest butter i have ever used. even right out of the jar its easy to scoop a bit out with your finger. then it just simply melts into your skin. im planning to use it in a whipped body frosting because i dont think its even hard enough for lotion bars. will be purchasing more! COMMENTS: I have used this in my CP soaps but because it feels so good on the skin, I reserve it more for body lotions and butters. COMMENTS: I really love using this butter. I use it to make body butters. Everyone loves the silky feeling against their skin. COMMENTS: I mixed this with lip balm base and it turned out wonderful. I look forward to trying it in lotions next. COMMENTS: This is another butter that is light, has no scent, and has the consistency of shea butter. It melts on contact with your skin and feels lovely! COMMENTS: I used this butter in my HP soaps with organic Almond milk. 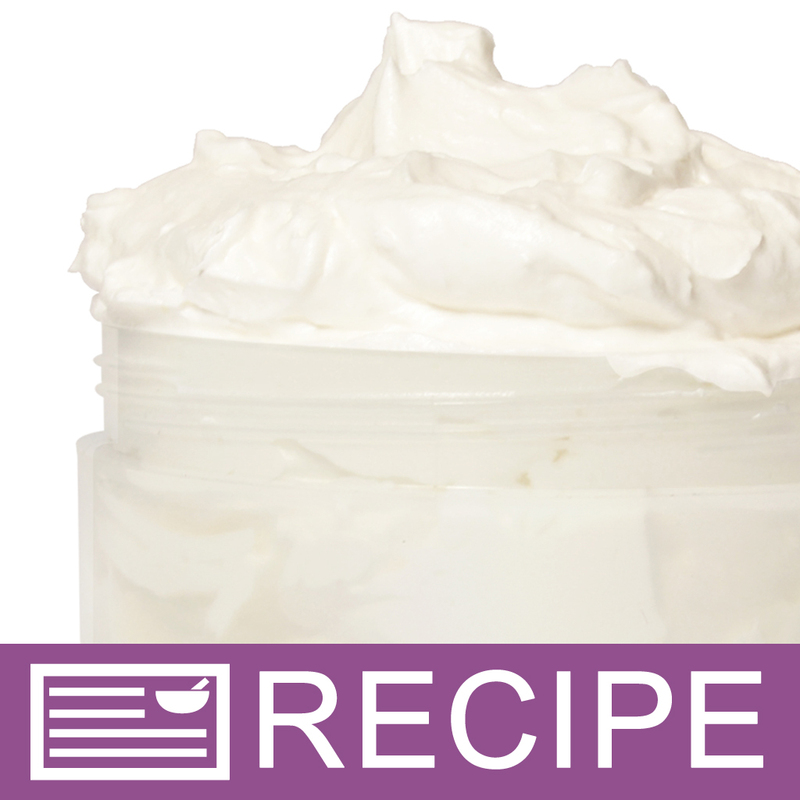 The lather is so soft and creamy, it leaves your skin clean and silky. Thanks so much for offering this wonderful addition to my soaps! Staff Answer Yes it can. Here is a link to a recipe we made using this product: http://www.wholesalesuppliesplus.com/education/recipes/tupelo-honey-almond-lip-balm.aspx. "Does the almond butter have a heavy nut scent that needs to be covered up with FO?" Staff Answer Yes there is a scent to this butter. If you would like to cover the scent, a fragrance oil can be added. It would be good blended with a cherry fragrance (cherry almond) or buttercream fragrance (buttercream almond). "What is hydrogenated vegetable oil in the Butters?" Hydrogenation gives oil that buttery thick texture, by adding hydrogen (usually as H2) to the fatty acid chain. To convert soybean, cottonseed, or other liquid oil into a solid shortening, the oil is heated in the presence of hydrogen and a catalyst. That hydrogenation process converts some polyunsaturated fatty acids to monounsaturated and saturated fatty acids. In other words, it takes a liquid oil and turns it into a saturated fat - a solid or semi-solid state. "What type of Vegetable Oil is used in this?" Staff Answer The manufacturer of this butter indicates it is a proprietary blend and will not provide further information.